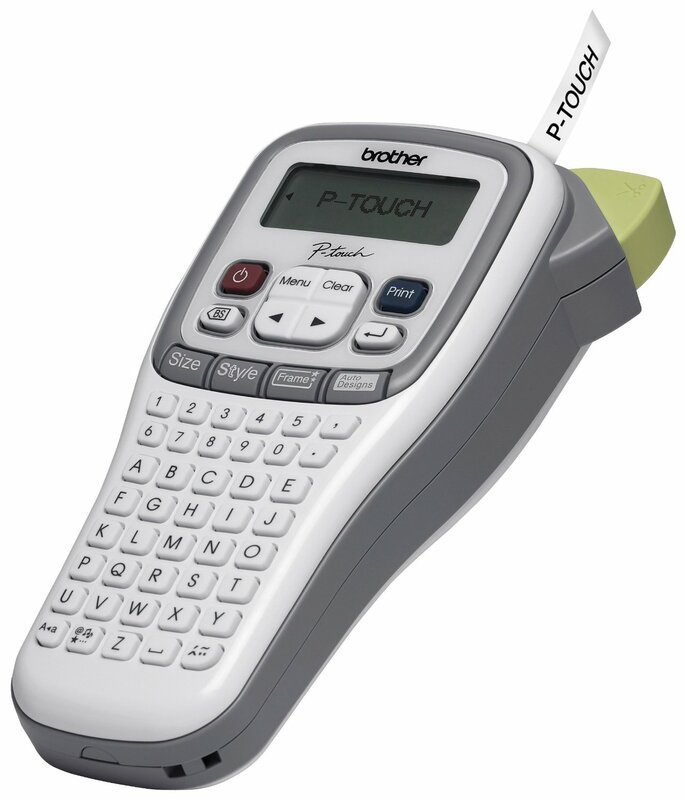 Thank you Racor® for sponsoring today’s post. Is your garage cluttered with sports equipment? We have young children so our home is not yet overrun with sports stuff but our garage is another matter. We have golf clubs blocking my craft storage, camping gear blocking my coat and purse bins, and swimming gear in front of my photo bin. The one thing that I keep asking my husband to move is the golf clubs. He has two sets, I have one set, and my daughter already has two sets! They are taking up much needed space on the garage floor. Can anyone relate? 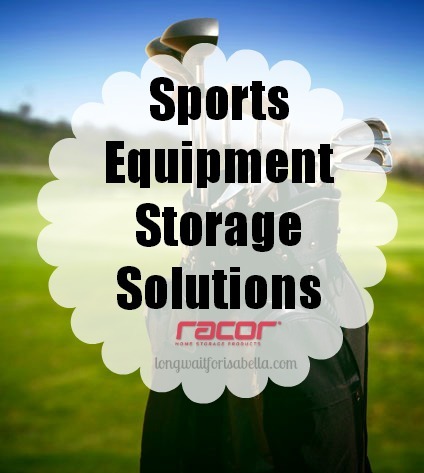 I was pleased to find that Racor® offers a variety of sports equipment storage solutions. Racor® is on a mission to help homeowners “Reclaim Their Garage” with innovative storage solutions (www.RacorStorageSolutions.com) that help to make the home and garage a safer place for the whole family. Sports equipment storage can be a problem for many homeowners; balls, gloves, skis, golf clubs and sport boards can be scattered all over the house and garage. But it doesn’t have to be that way. Racor® offers five innovative sports equipment storage solutions to help create safe, organized places for the family’s sports equipment, freeing up much more garage space and ensuring that homeowners “Reclaim their Garage”. 1. The Racor® Ball Rack is the ideal solution for storing a variety of balls, bats and gloves. The Ball Rack holds up to 12 balls, and its unique design lets you easily grab any one of them through the bungee cords in front, while still holding the others securely in place. A removable bag holds small objects like golf balls, tennis balls, and baseballs, while four hooks are available to hold bats and gloves. You and your family can throw, stuff and toss up to 30 pounds into the Ball Rack, making for a quick clean up. Constructed from durable steel with a powder-coated finish and three bungee cords, this rack is designed to withstand the daily wear and tear of child activity. For a simple and safe way to save space and keep sporting goods organized, look no further than the Racor® Ball Rack. Some assembly required; installs into two studs. Suggested retail price is $40. 2. The Racor® Golf Storage Hanger creates a safe and secure location to store two golf bags and two pairs of shoes on the wall – getting them off the floor to free up extra garage space and keep them critter free. Constructed of steel with a durable epoxy finish, the Golf Storage Hanger is designed for stability, corrosion resistance, and rust-free storage. Between rounds of golf you want to put your golf bags and shoes in a place where they will be safe and out of harm’s way. Then, when you’re ready to hit the greens, the Golf Storage Hanger has all your golf equipment in one place. No assembly required; installs into one stud. Suggested retail price is $30. 3. The Racor® Triple Ski Hanger conveniently stores three pairs of skis and three sets of poles. With cushioned sleeves to protect the skis and provide an anti-slip surface, the Triple Ski Hanger is the perfect addition to your ski locker, cabinet or garage. Constructed of solid steel with a durable epoxy finish, the Triple Ski Hanger is designed for stability, corrosion resistance, and for rust-free ski storage– ensuring that your skis maintain their condition throughout the warmer months. No assembly required; installs into two wall studs. Suggested retail price is $20. 4. The Racor® Double Ski Hanger conveniently stores two pairs of skis and two sets of poles. With cushioned sleeves to protect the skis and provide an anti-slip surface, the Double Ski Hanger is the perfect addition to your ski locker, cabinet or garage. Constructed of solid steel with a durable epoxy finish, the Double Ski Hanger is designed for stability, corrosion resistance, and for rust-free ski storage–ensuring that your skis maintain their condition throughout the warmer months. No assembly required; installs into two wall studs. Suggested retail price is $15. 5. The Racor® Sport Board Hanger is perfect for storing skateboards, snowboards, wakeboards and boogie boards. The unique design of the Sports Board Hanger is fully adjustable and grips the side of the board with cushioned arms to hold an item between 7.5” and 17” wide. Constructed of steel with a durable epoxy finish, the hanger is designed for stability, corrosion resistance, and rust- free storage. The Sports Board Hanger is not only great for the garage, but for indoors as well. When the sports board is hung up, the hanger almost disappears and shows off the graphics that are common on these boards. Some assembly required; installs into one stud. Suggested retail price is $15. Racor® storage and organizational solutions will inspire you to take back control of your space. Racor® has the largest variety of solutions to organize and store bikes, sports equipment, lawn and garden supplies, bulky items like ladders and totes, and clutter items like tools. Racor is part of the ITW® family of products. Racor® and the Racor logo are registered trademarks of Illinois Tools Works Inc. ITW® is a registered trademark of Illinois Tool Works Inc.
One lucky Long Wait For Isabella reader will win their own Racor® Golf Storage Hanger. This is a great gift idea for the golfer in your life. 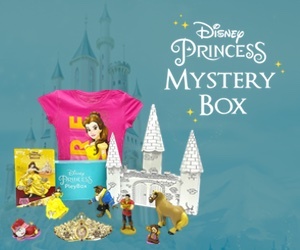 Simply enter the Rafflecopter form below for your chance to win. Open to US residents 18+. Wheelbarrow and ladder hanger is cool, never thought about hanging them. I really like the site, bookmarking it, ty. I am glad that I came across to your post as I am cleaning my garage to make it suitable for more storage. Your ideas sound fabulous and as I have some collections of sports items that I found difficult to store in home so planning to store in garage. I liked the #5 Racor® Sport Board Hanger and thus I will go for this. I actually need the Garden Tool Rack!